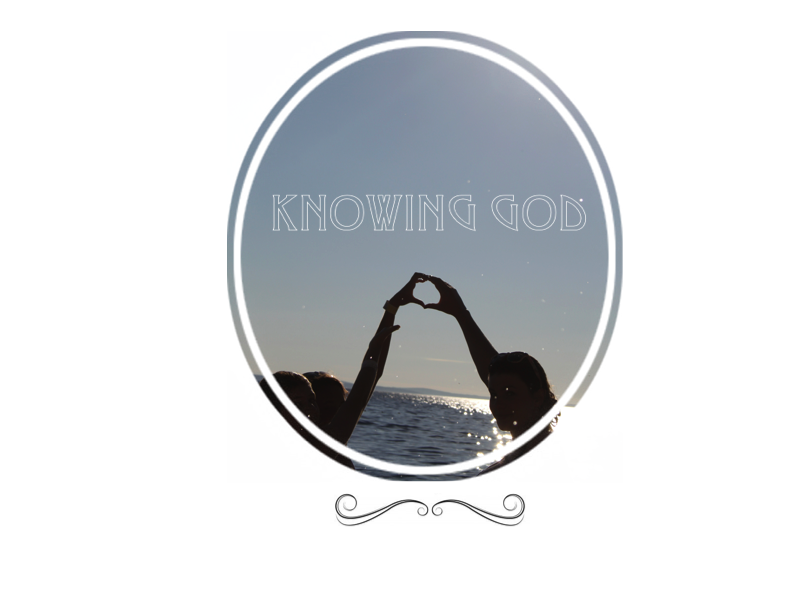 Knowing God: What are you living for? Idol sounds like such a foreign word. You hear it and think: that’s not me, I don’t worship an ‘idol’, I’m not some statue worshipper with lots of wooden figurines, I worship God! But as Keller says, we all worship an idol. It’s not just a wooden statue, it’s anything on which put our value and worth. If we need something to make us happy, if we can’t live without that thing then that’s an idol, because it’s above God in your heart. If you’re still dubious then hear me out. A sign that you have an idol is: worry. Lets take the example of making friends, if you have thoughts like: ‘I don’t have any friends, I have to make friends, there’s no one here I can hang out with, no one likes me’ etc, then friendship is probably your idol. You will be plagued by fear and stress and worry and sadness until you find a friend. But will that be enough? Is one friend enough? Other people have more, some people have lots…As Becky Pippert says your idol controls you: ‘Whatever controls us is our Lord.’ Your actions and thoughts will be directed around that thing, doing whatever you can to satisfy its demands. Everyone’s living for something, everyone’s got some goal they strive for, something they orientate their life around. Everyone, be they secular or religious worships something. And labelling yourself a Christian doesn’t mean you escape this fate. Christians still struggle with idols, but we have the secret to destroying them and we have the hope of knowing they will be crushed instead of us and they won’t have the final say. Equally, Jesus then says: ‘the one who hears my words and does not put them into practice is like a man who built a house on the ground without a foundation. The moment the torrent struck that house, it collapsed and its destruction was complete.’ Those who continue to worship their idol, who build their life around something unstable, something that isn’t God – marriage, a family, a job – will be ruined when something goes wrong and they don’t get what they want. They will be in the uttermost despair, without hope and having nothing to cling on to. But, as we see in the bible, all is not lost! God offers to give us something bigger than a house. He offers us an entire, rock-solid, impenetrable kingdom! One which can, and has, withstood even the worst storm. We know this because Jesus has tested it out for us first, and created a way in. ‘Do not be afraid, little flock,’ our Brother tells us ‘for your Father has been pleased to give you the kingdom’! (Luke 12 v 32) We’ve been given the kingdom and that is what we can put our hope in. Because the kingdom will never perish. No army will ever tear down its gates. All we have to do, is choose to put our everything into that Kingdom, instead of some flimsy mud hut. Our Father, our heavenly Daddy, is crying out to us and saying: ‘don’t be like that foolish man! Why do you put your life under the slavery of those things? Why do you not come to me and let me look after you, why do you not worship me? I will never disappoint you.’ He aches for us: 'What fault did your fathers find in me, that they strayed so far from me? They followed worthless idols and became worthless themselves.' (Jeremiah 2:5) God is perfect! Why would we choose to follow worthless things rather than Him who made us!? It is said that we become like what we worship. So in worshipping worthless things we too become worthless, but in worshipping God we can become like God, we can fulfil the life we were meant to live - being the image of God. We are his children (1 John 3:1) and He reaches for us with an ‘outstretched arm’ (1 Kings 8 v 42) saying: ‘All day long I have held out my hands to a disobedient and obstinate people’ (Isaiah 65 v 2). Despite continually turning our back on our Father, his patience endures and He continually lavishes grace and love upon us! The whole bible screams with the cry: 'RETURN TO ME.' He groans when he sees that we’re throwing our lives away. We’re settling for things instead of reaching out towards life as it was meant to be. He says, ‘I love you so much I sent my Son, my delight, to die! Why do you still not come to me?’ ‘God demonstrates his own love for us in this way: While we were still sinners, Christ died for us.’ (Romans 5:8). Being a Christian doesn’t mean we won’t struggle with idols. We live in a fallen world; we will all struggle with them. Christianity offers us a way of beating them back. God says: ‘Come to me all you who are weary and heavy burdened and I will give you rest.’ (Matthew 11 v 28) It is a continual process of coming to him, throwing ourselves upon his grace and saying: ‘daddy, please take this from me. I choose you. I want to worship you. I hear what you’re saying Jesus and I listen to you.’ We can give it over to him and in doing so, in transferring where we find our value and worth we can find true rest. True joy, true happiness is ours! We all worship something, something is our master, it's merely a matter of choosing a master which won't crush us in the end. And the only master who can promise that is Jesus. What does this look like? How can I know that I’ve got my heart on the right things? Well, lets revert back to my original point: worry. If we're putting all our importance on something indestructible then we have no need to fear its removal. And if that worry is gone, then so is fear. Can you imagine what a fearless life would look like? ‘Perfect love casts out fear!’ (1 John 4:18) God’s love for us has driven away any need for fear. It is a scientific fact that you cannot feel love and fear at the same time. It’s just impossible. Therefore, if we’re all consumed with God’s love ‘whom then shall we fear?’ We can be bold and fearless, taking huge leaps and steps for our faith because we know that even if we're humiliated, even if we're hurt, or someone close to us dies, we know that them most important thing, the thing in which we find all our joy, will never. be. taken. away. NEVER. His main priority, the thing of most importance to him, the Rock on which he's built his life is Christ. It’s God. His aims now are to ‘advance the gospel’ and ‘preach Christ’ because that’s what God wants him to do. His ‘attitude is the same as that of Christ Jesus’ (2:5) because he’s doing as Jesus did and reaching out to his oppressors and offering them true life! ‘And because of this, I rejoice!’ (1:18) And therefore, this life has nothing on Paul! Paul's chosen to worship God instead of anything else and in doing so has found complete freedom - freedom from earthly pain, loss and hurt. Nothing can damage him! Because the thing he places most value in, is untouchable! Not even death could constrain Him - Jesus!